IKEA election site - leaders kitchens on show! 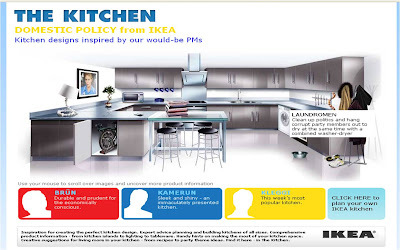 IKEA's contribution to the US Presidential election was building a mock up of the Oval Office. 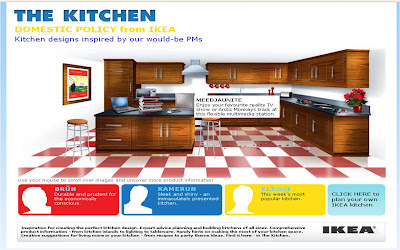 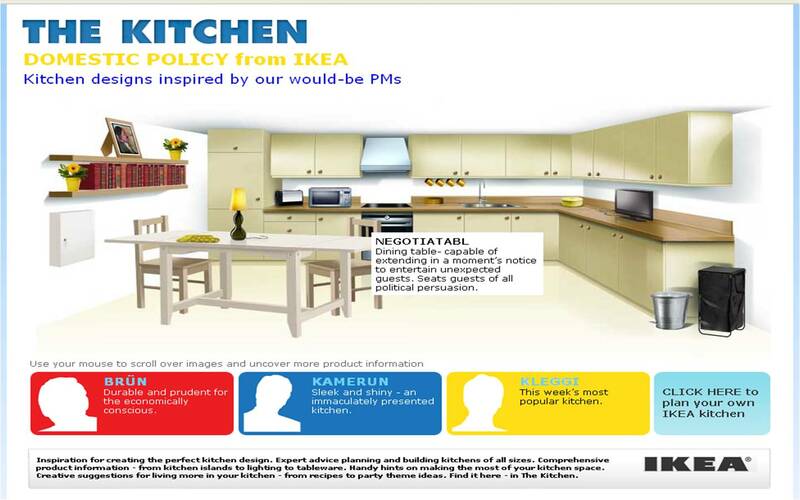 For the UK election IKEA have just launched a kitchen site that shows what the leaders kitchen layouts could look like! A nice way of piggybacking all the news coverage whilst highlighting core offerings - it's a viral message grounded in the fact that IKEA do kitchens!